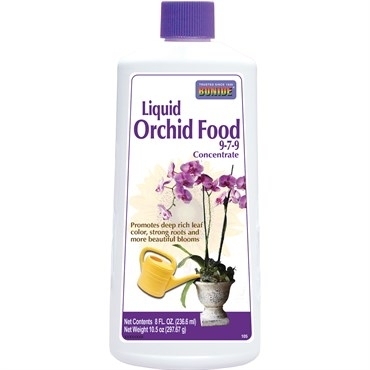 This Bonide® Liquid Orchid food promotes deep, rich leaf color, strong roots and more beautiful blooms. It is specifically for Orchids providing moisture, and nutrients for healthy and robust bulbs and blooms. Can be added to a quart of water and used with each watering. 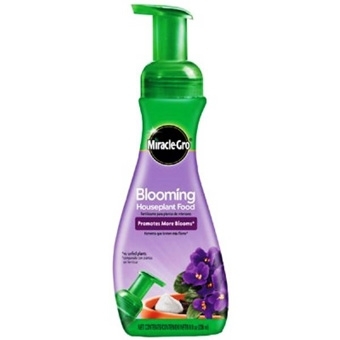 This Miracle Gro® Blooming houseplant food is specifically formulated to meet the unique needs of all flowering houseplants. It promotes blooms! Apply directly to the soil or plant saucer, or mix with water to feed on a more regular basis. Feed your plants with every watering! 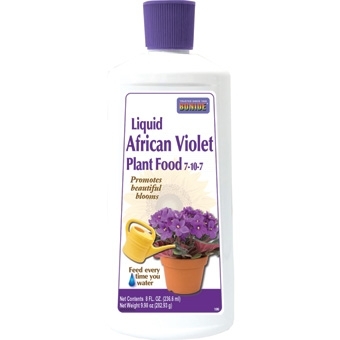 This Promotes beautiful blooms and will also improve the quality of all African Violets as well as other flowering houseplants. It helps stimulate flower production quickly and easily! 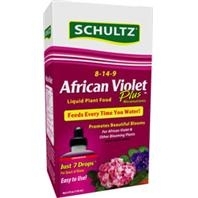 This Liquid African Violet Plant Food requires just a small amount of fertilizer with each watering and and it will bring forth beautiful blooms, lush foliage, and excellent plant vigor on African Violets and most other blooming houseplants. 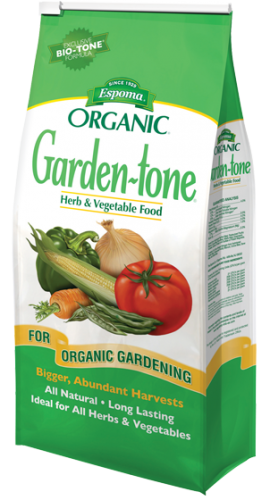 Garden-tone is an all-natural plant food formulated specifically for vegetable gardens. It is a safe, long-lasting, and will provide the nutrients necessary for all vigorous and productive plants. 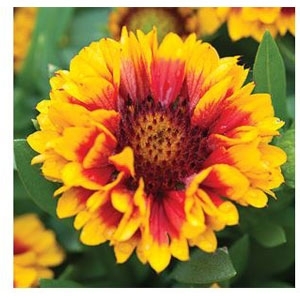 It is a long-lasting, slow release fertilizer so it will not burn or leach away. Garden-tone provides bigger, more abundant harvests. It is enhanced with Bio-tone(R), Espoma's proprietary blend of beneficial microbes. 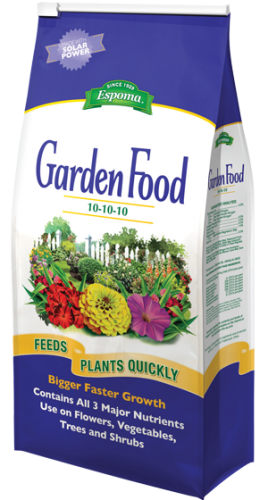 It biologically enhances their natural plant food to ensure superior plant growth. Espoma Bone Meal is an all natural organic source of Nitrogen and Phosphorus. 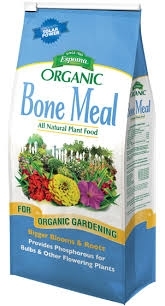 Bone Meal helps develop sturdy root systems and promotes plant growth, and is ideal as a supplement for bulbs, flowers, and roses. Can be used for Bulbs and all perennials at planting time. 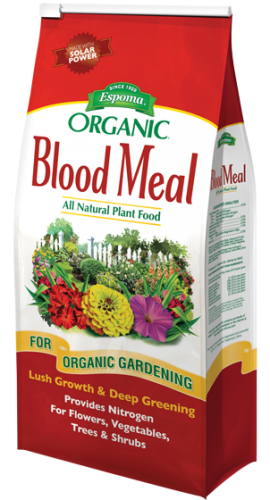 Espoma Blood Meal is an all natural organic source of Nitrogen. 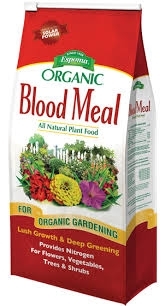 Blood Meal promotes rapid growth and deep, dark green color. 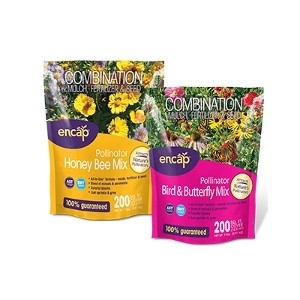 It is an ideal supplement of all annuals and perennials, as well as trees & shrubs. Naturally provides more vigorous plants with richer, greener leaves. It is a time proven remedy for sickly plants. All Natural Plant Food for Organic Gardening. Lush Growth & Deep Greening. For Flowers, Vegetables, Trees & Shrubs. 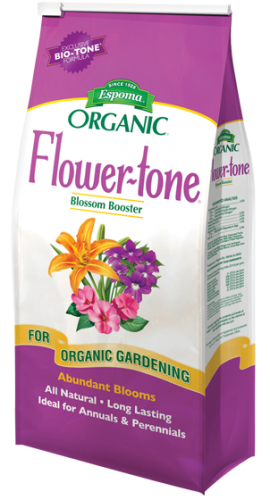 Flower-tone is a premium flower food that is low in nitrogen and higher in phosphorous and potassium to maintain good plant growth and promote blooms, rather than heavy foliage. Enhanced with Bio-tone(R) beneficial microbes. Long-lasting, slow release formula will not burn or leach away. Specifically formulated to promote and prolong abundant blooms! These attractive mixes are a beautiful addition to any space that needs a little bit of pizazz! There are several great mixes available, come see which one is perfect for you. All Natural Organic Plant Food! Derived from brown seaweed, harvested from cold waters and then processed at low temperatures and dried. It makes an excellent soil conditioner and is a rich source of Nitrogen & Potash. Can be used on lawns, flowers, trees and gardens. Turns Yellow to Green! 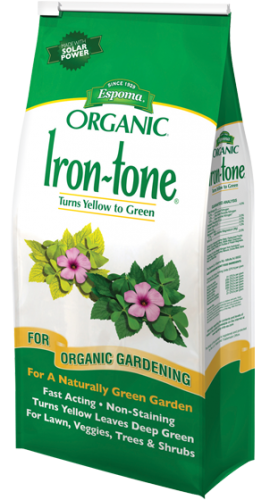 Espoma Organic Iron-tone is a premium plant food formulated to correct chlorosis and turn yellow foliage to a deep, dark green color. Iron-tone does not stain concrete, and can be used for lawns, vegetables, trees & shrubs. 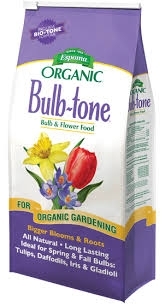 Bulb-tone is a premium plant food formulated specifically for bulbs and tubers. 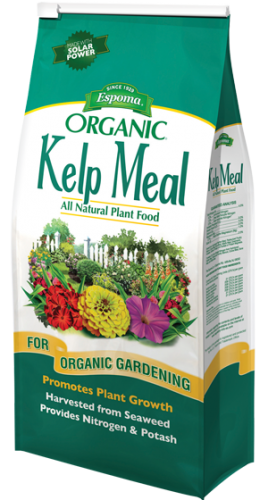 Contains bone meal and other natural organics to meet the special nutritional needs of these plants. Ensures superior plant growth. Feeds slowly, safely, and will provide long lasting food to ensure superior results. Perfect for all bulbs, like tulips, daffodils, crocus, and hyacinths. This Bonide® Liquid Plant food is a balanced formula that is simple to use! It is ideal for houseplants and requires just 7 drops per quart of water. Can be used with each watering for lush healthy plants. Feeds plants quickly! Promotes bigger, faster growth and contains 3 major nutrients! It is an agricultural grade fertilizer that promotes vigorous growth in all flowering plants and vegetables. Can be used for flowers, trees, shrubs, and vegetables. Contains less nitrogen and potassium than 10-10-10. Feeds plants quickly! Promotes bigger, faster growth and contains 3 major nutrients! It is an agricultural grade fertilizer that promotes vigorous growth in all flowering plants and vegetables. 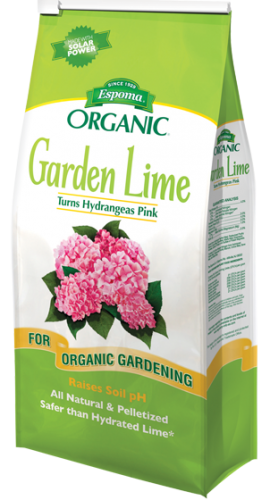 Espoma Organic Garden Lime is the finest grade of pelletized, dolomitic limestone available. Raises soils pH so that plants get the most from nutrients present. Pelletized for easy application. Turns Hydrangeas Pink also raising pH naturally and safely. We have a beautiful selection of healthy Perennial Plants. 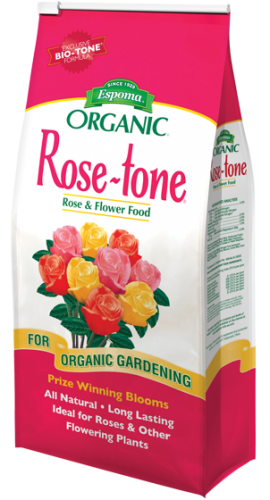 The organics in Rose-tone are great for all types of roses, and breakdown gradually providing a safe, long lasting food reservoir activated throughout the growing season. Preferred by professional rosarians. The safe way to prize winning blooms! It can also be used for other flowering plants as well. 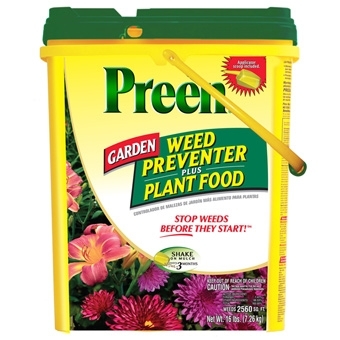 Preen Garden Weed Preventer Plus Plant Food works all season long! Unlike other weed killers and plant foods, one easy application prevents weeds for up to 3 months and feeds your plants for beautiful color and strong healthy foliage and roots. Can be used anytime of the year-although it does not kill existing weeds it only prevents new ones from growing. There is no chance of burning or overfeeding when used as directed. 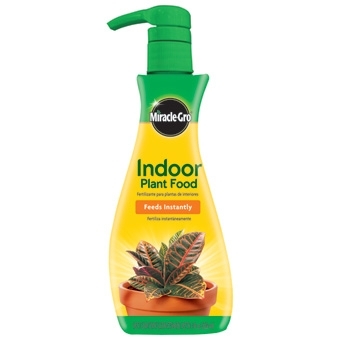 Miracle Gro® Liquid Houseplant food promotes lush, healthy-looking houseplants. It's the easy way to give houseplants a well rounded diet! 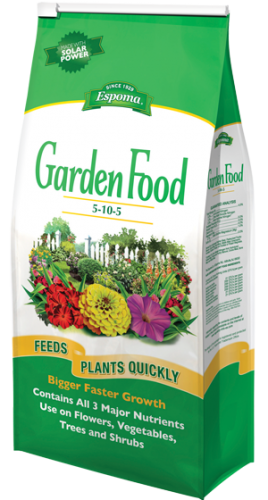 It can be applied directly to soil or saucer or mix with water for more regular feedings.